Part of the fun of a vacation for most people is the opportunity to relax and unwind. Day-to-day life for many people is stressful, and a vacation is the perfect opportunity to “get away.” Yet year after year, families continue to go to Disneyland and other theme parks and return from their vacation more depleted and stressed than when they left. While vacations at Disneyland may be fun, they are certainly not relaxing. There is nothing relaxing about waiting in line for up to 2 hours to enjoy a ride that lasts for only ten to twenty minutes. Adults barely have the patience for that kind of wait, let alone children. Where is the fun in having to meticulously prepare for a vacation so as to avoid the crowds and lines? Why should you have to read and adhere to an in-depth guide and constant strategic planning to enjoy your vacation? For that matter, why do many Disneyland guides actually recommend taking a break from your vacation? Your vacation is supposed to be the break! 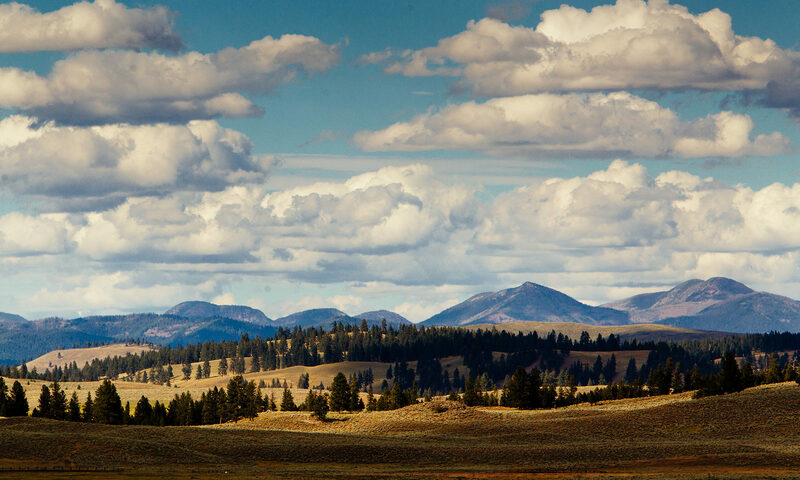 At The Resort at Paws Up, a true Montana Ranch all of the planning is taken care of for you. Simply let us know what you want to do and we make it happen. If you would like to spend an afternoon being pampered in Spa Town, we’ll arrange it for you. And don’t worry, your kids will have a blast, too! Send them on a day of adventure with our Kids Corps of Discovery. The Kids Corps of Discovery will provide children with plenty of entertainment and wilderness education (your kids will be having so much fun, they won’t even realize they are learning!) Activities include a petting zoo, a scavenger hunt, swimming, kayak excursions, lessons on the basics of building a fire, and much, much more, all under the watchful eye of our trained and caring staff. You and the kids can convene at the end of the day for a gourmet meal. For memorable days together, the whole family can enjoy activities such as learning how to ride a horse, hot air ballooning over the breathtaking Blackfoot Valley, or canoeing. Where a Disneyland vacation offers corn dogs, nachos, and frozen hamburgers, or two-star food at a five-star price, at The Resort at Paws Up you can expect fresh, locally sourced ingredients, carefully prepared to showcase the freshness and quality of the cuisine. In fact, the person preparing your meal can tell you exactly where each vegetable and cut of meat came from. Try posing this question to the Disneyland employee schlepping corn dogs. On second thought, don’t – do you REALLY want to know where that corn dog came from? Where a Disneyland vacation offers crowds of people crammed into small spaces, The Resort at Paws Up offers guests 37,000 acres of wide-open spaces and big, blue Montana skies. Step outside of your glamping tent or private home at Paws Up, and take a deep breath of the fresh air, lightly scented by the towering Ponderosa pines, and hear the quiet murmur of the Blackfoot River. Try to do the same at Disneyland. And the best part is you won’t need to spend the entire day telling your children not to run off, lest they be lost in the throngs of people. At the end of the day, when you and your family are exhausted – not from the stress and frustration of a day spent fighting crowds, but from a day chock full of exhilarating activities, you can retire to your luxury accommodations and The Last Best Bed®. Now how’s that for a vacation? For many people, the term “camping” conjures images of dirty sleeping bags, flimsy tents that provide little protection from the elements and more insects than all the bug spray in the world could handle. But experiencing the great outdoors can be a very comfortable and, dare we say, luxurious experience. Simply mention Montana and most people envision sweeping vistas and rugged landscapes. And The Resort at Paws Up certainly encompasses that pioneer-esque imagery, but it also throws in an element of undeniable opulence. Currently, there are four luxury camps to choose from here—there’s the Moonlight, Creekside, Pinnacle and River—each featuring views and characteristics all their own. In June, the newest luxury camp, Cliffside Camp, will join the roster. Resting on the banks of the Blackfoot River (the setting for the Norman Maclean novella A River Runs Through It), Cliffside Camp features four two-bedroom tent suites and two one-bedroom honeymoon tents, each as luxuriously rustic as the next. Every suite has in-room bathrooms (no dirt holes on this camping trip), air conditioning, and a camp butler and chef. Stephen Beaumount’s illustrious 35-year career in the luxury hospitality sector has included management titles at Keswick Hall, The American Club, The Old Course Hotel Golf Resort and Spa in St. Andrews and Biras Creek Resort in the British Virgin Islands. He has been the CEO of The Resort at Paws Up, Montana, since last October. Thank you for your time! How is business at Paws Up? We are excited to be getting ready for our busiest season ever. Our forward bookings are ahead of previous years and the summer months will be extremely busy. However with 37,000 acres of land, our guests will never feel crowded. Where are your guests coming from these days? Paws Up guests come from all over the USA and increasingly from overseas. It is easy to get here from many areas of the country and only a 35-minute drive from Missoula International Airport which has great summer connections. How do they hear about you? I think that most people hear about us through word of mouth or a connection (often by social media) to our website. We have a very creative marketing and PR team who work hard to get the word out, not only about our “glamping” experiences, for which we have become rather famous, but also the beautiful homes and the extraordinary menu of activities available. You’re an Englishman in Montana and most recently a resident of the British Virgin Islands, where you managed Biras Creek Resort. How is the change of scenery treating you? I can’t compare the two. The British Virgin Islands are spectacularly beautiful and yet the natural beauty and the combination of mountains, plains and rivers here in Montana has a rawness, a pristine yet wild side that makes me catch my breath every morning. The vistas seem to change almost every minute and I love the changes of season. They don’t call this Big Sky Country for nothing and it is just as well that my office chair is sited with my back to the windows or I would never get any work done! How and when did you first hear about Paws Up? Paws Up has been on my radar for several years now. I have had colleagues who have worked here at some point in their careers and it is the first place you look at when investigating the luxury camping model, which I have done in depth in at least one of my former positions. 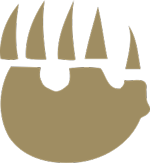 Paws Up is undoubtedly a pioneer of that concept and so it is a huge honor to now be heading up the wonderful team here and expanding the glamping business even further this year. The ranch re-opens in April for the summer season. Are you expecting a busy spring as well? We have a number of groups who are staying with us in April and May. It is a perfect location for a company to hold a retreat and combine some team building and meetings with the myriad activities on offer. Of course we also have an amazing chef and, close to my heart, an eclectic and unusual wine list. Work and leisure combine in very appealing ways at Paws Up! If you were a guest of Paws Up, what would your perfect day be like? I love the sunrises and I would try to capture the beauty of the pink glows over the mountains on my camera before going to Trough for a hearty breakfast. Although we offer many healthy options I would likely order huckleberry pancakes and a cup of locally roasted coffee that has been blended for us new for the season. Then off to the Wilderness Outpost for the first activity of the day. Perhaps a half-day of fly fishing on the Blackfoot River (made famous by “A River Runs Through It”) under the watchful and encouraging eye of one of our guides. Having worked up an appetite and hopefully having caught a trout or two (we are strictly catch and release here), I would go back to the village for lunch and meet up with my wife who may have been enjoying a more leisurely activity at the spa, and sample some casual Montana fare. Perhaps a bison burger or some great chilli — not too spicy but just enough heat to keep the taste buds alive, all washed down with a local micro brew. I’ve become a little obsessed with the local beers even though my real passion is wine! An afternoon activity seems to be beckoning, this time with my wife and arranged by our Personal Concierge, and so we may opt to go to the shooting club for some sporting clays, take a private horseback riding lesson or an ATV tour. We’re not brave enough to rappel the 163 feet down to the river from Lookout Rock nor do the whitewater rafting, but plenty of our guests are! After our afternoon activity, back to our tent or luxury home to get changed and sit and relax on the deck before dinner and take in the views. If I am staying in one of the luxury camps, dinner will be served by the Camping Butler in the Dining Pavilion and prepared by our Camp Chef. If we’re in a home, we’ll drive our personal golf cart or Kia to the village where we will choose either the casual fare of Trough or the more fine dining (but still distinctly local Montana driven) Pomp. We’ll have a cocktail and enjoy a bottle of northwestern wine — perhaps a Washington State Merlot or Oregon Pinot Gris. Chef Adam’s simple and yet deceptively sophisticated cuisine will ensure that those taste buds are very, very happy! The sun sets very late up here in summer and so it will probably still be light when we have finished our dessert. So a nightcap on the deck (local bourbon?) will ensure we are lulled gently to sleep, perhaps catching a glimpse of the infinite number of stars that fill the late summer skies, ready to wake refreshed for another day of adventure! Your accommodations are roughly split between vacation homes and glamping tents. Do any guests prefer to split their visit with a stay in both? Many guests like to try a combination stay and it is a great way to experience both. Our reservations team are experts in creating just the right blend of experiences and our Personal Concierges continue after your reservation is made, building an itinerary of activities, spa services and dining as well as being on hand during your stay to ensure that whether you are in a camp or a home, your visit to Paws Up is one that will live on in your memory. What is it like working on new upgrades and luxury camping sites, such as Cliffside Camp, during a Montana winter? There are definitely some challenges with construction and building when the ground is frozen and there is snow on the ground. However the team here has been building these additions now for eight years and they are masters of ingenuity. We get it done and although some things may look like they will never be finished in time, I know that they will be and that we have the best team ready and waiting for our first guests in April. We also spend a lot of time on training and developing our team, and the only way to provide world-class service is to plan well, recruit the best people and provide ongoing training and development. That has always been my mantra and it is no different at Paws Up. The Montana Master Grillers Weekend is happening this May 24-27, with Chef Frank Ostini of Casmalia’s The Hitching Post and Chef Adam Sappington of Portland’s The Country Cat. How does your chef Adam Cooke find the participants? Like everything, it is a team effort. Chef Adam knows a lot of people in the industry and so do many of us, whether on the operations side or in Sales and Marketing. We are also getting a great reputation as a fun venue for culinary events (we have been the host of Montana Master Chefs for many years now) and so we are approached by people in the culinary world to participate. That is a great honor and we welcome collaboration so that we can provide innovative and different experiences to our guests. Any news on other upcoming projects to share with Hideaway Report readers? We have many plans but we like to keep some of them in our back pocket so as to keep delighting and surprising our guests each year. To reveal them now would be like telling you what I’m getting you for Christmas. Oh and by the way, we also have incredible Christmas and New Year’s packages. But that’s a whole other story!